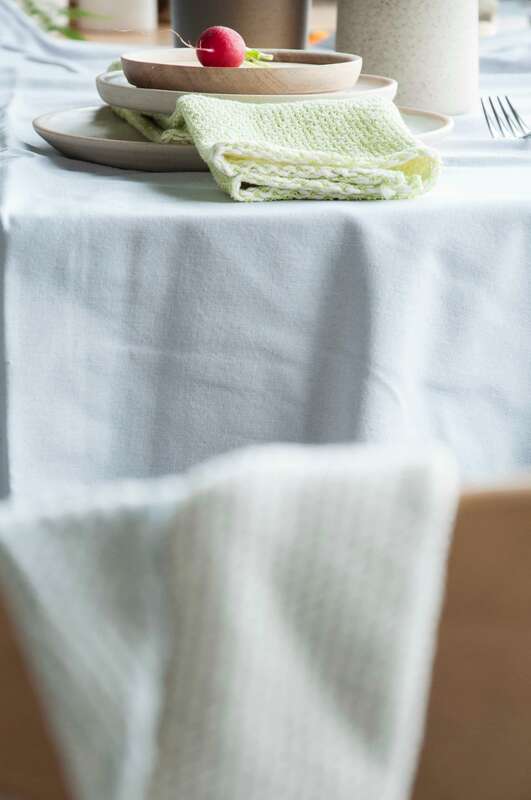 The textile napkin is as much an accessory as it is a functional cloth; It dresses up the dinner table perfectly, to awe the guests the moment they arrive at your dinner. You sit down and take the napkin off of the table to leave it on your lap during the whole supper. Perhaps you are quite the messy eater, and is the napkin the protection shield for your clothes. Perhaps you are quite a clean-eater. In that case you dap your mouth twice in every corner after desert, to make tiny spots disappear. A napkin is an elegant item on the dinner table. For your special parties, or maybe a simple easy gathering with friends. A special textile can give that extra elegance to any occasion. Would you like to see some more table-setting inspiration? Read our article about Marie Verdenius. 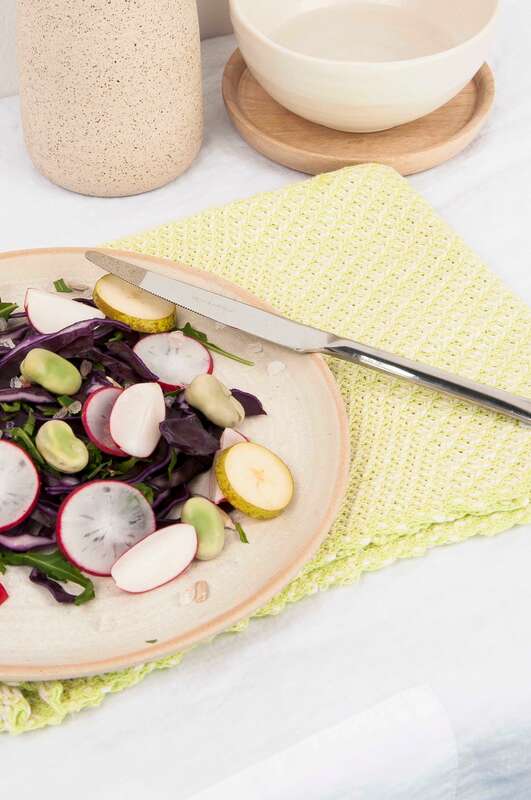 She is a food stylist who styles table settings on a daily basis. 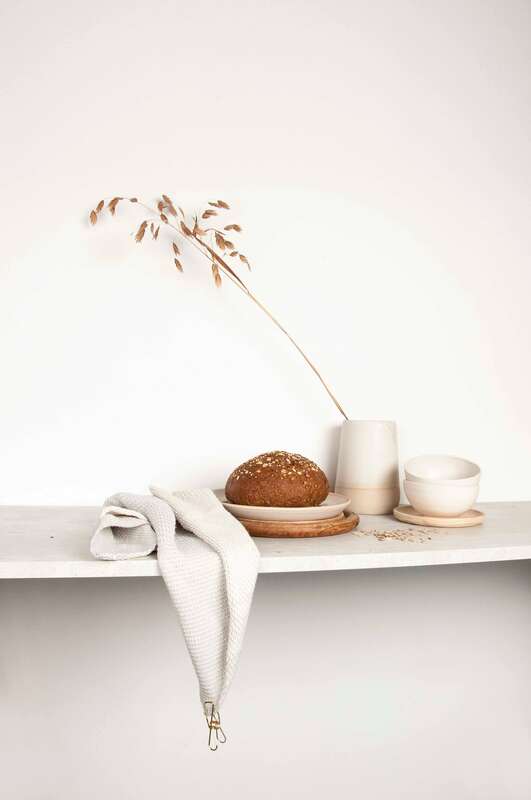 For these images, shot by our own studio, we used products from Annemieke Boots, Sissy boy and Dille&Kamille. Get yourself one of these napkins. Our current collection include 5 colors, which you can check out here. 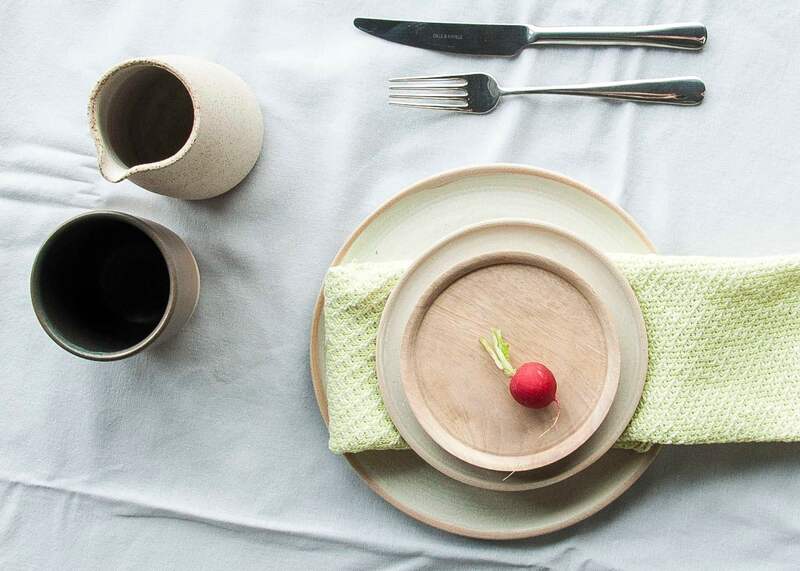 They are not only perfect to dress the table during a dinner party. The 100% cotton knit is also easy in care: you can wash it on 60 Degrees and it will keep a long lasting beauty.